And then I wound up catching an early set of hers at Reading Festival this year, and in a live setting it oddly seemed to click. Her backing band lent an organic touch that made the odd turns feel naturalistic, and Noname's low-key charisma bubbled up in interesting ways, naturally infectious in a way that made the cleverness of her writing all the more enticing. In other words, even though at the time Noname was saying Telefone would be her only project, I'm a little glad that she wound up recording a full-length debut... basically in her own words because she had to pay rent and she wanted new music to play on tour. And there was no way in hell I was going to miss covering her this time, so what did we get on Room 25? So here's the funny thing: I think putting together a review of Room 25 is trickier than it might appear - and for once that's not disparaging the album's quality whatsoever, because it's easy to say that this is an excellent record, full stop. The production is warm and organic, off-kilter but in a way that it doesn't disrupt the vibe, and when you pair it with Noname's subtle and boundless charisma, it is very easy to be charmed by a record like this, especially for me as a critic who loves this sort of subtlety. And when you tack on its brevity and how easy it is to listen through and the nuggets of wit that seem to be overflowing from every crevice, along with really strong guest performances, I can see why a lot of folks might even brand this as one of their favourite albums of 2018... which means I'm naturally a little suspicious of it. And rightly so - I'm not going to call this 'critic-bait' but I do know there are certain styles and tones that are so much up my alley that I want to bring heightened scrutiny to the content, so that I'm not just swept away by the vibe - so yeah, we're going deep with this one, even though I'm quite convinced it's great right from the jump. And a huge part of that greatness is Noname, where you can definitely tell she's improved as a performer across the board, but it's tough to pin down how. She's always had a lot of low-key, bubbly charisma, but in comparison with Telefone there's a sense she's a shade more open and inviting with the audience, or at least opening the window to what she wants us to see a bit wider. That's one element that made Telefone a tough listen, in that the obfuscation prevented all but the most patient or in-tune of listeners from building more of a connection with Noname, but while Room 25 still has some of this when you start digging into lyrical details, there's a greater sense of expressive comfort behind the microphone that helps Noname's presence feel all the more potent here. And a big part of this is how she emphasizes her introversion and how much this album is made for her as it is her audience - it's a deflection all the same, but it's playful and naturalistic rather than studied, and that speaks to a better performer. Of course, it helps that the low-key, jazzy hip-hop with richer wells of arranged strings and live drums are such a natural fit for her style, grounded in contemporary R&B that's very tasteful but has the sort of looseness that calls back to Chicago's more ramshackle organic tones of the past five years. The basslines are supple, the guitar work is liquid, the drums just sound fantastic especially the snares, and so many of the strings hit that sweet spot of classical elegance with aching sincerity... but this is still a hip-hop record, and Noname and her producers aren't shy about introducing samples or slightly rougher elements to ground the richer organic tones in reality. And while I might be an easy sell for a song like 'Blaxploitation' given how much I like that era and style of films in the 70s, the fact that Noname was able to sample Dolemite and The Spook Who Sat By The Door and make it feel cohesive with a sound that would seem more high-minded is a huge credit to her. And even on that basis, for as lush as this sound is, there's no place where it feels overbearing or any less intimate, which considering how hushed and subtle Noname's delivery is can be a tricky line to walk. Part of this comes through close but not too close vocal layering, but there's also a sense of care that translates through the fuller cymbal pick-up on 'Prayer Song', the rickety keys touching against the lush touches of strings that almost reflect classic Hollywood through the quiet reserve of observing it from the sidelines, from the organic fullness around the organ, bass, and strings of 'Don't Forget About Me' to an almost alternative rock guitar pickup against the stuttered cymbals on 'Part Of Me' - songs that could have very easily been oversold. But of course this inevitably brings up the question of guest stars - which just from the premise and framing of this album I'd question given its introspection - but for the most part Phoelix, Yaw and Adam Ness compliment Noname on the hooks and she's got such a natural chemistry with Smino and Saba off the lumpy bass and sparse vocal sample anchoring the melody of 'Ace' that it goes down incredibly easy. The only guest star I don't quite think connects is Ravyn Lenae on 'Montego Bae' - with her girlish upper register she sounds a shade too buoyant to really fit with the mood of the record as a whole, but even that's a minor complaint because she does work on the song. And really, I could go on about how the guitars on 'With You' sound gorgeous against the trembling groove and rich snares and how the guitar and piano tones warp into a stunningly warm shift on the closing track 'no name' with the strings, but I think it's time we get to the content and what Noname is trying to say... for as much as she's willing to share. I said before that Noname made this album most for her and what's most interesting about her brand of poetry is how the more open her writing feels, the more I get the impression there's a deeper well of emotion and insight that not only I'm not seeing, but that I'm not really privy to seeing. You can tell that there was upheaval in Noname's life on which she's writing - a move to the West Coast, a sexual awakening that translates to more explicit language but also a sense of world-weariness that comes in powerful contrast to playful couplets, oblique observations, and genuine warmth that smart enough to be cynical but compassionate enough not to be... but for much as I try, I can tell her sense of thematic pathos runs deeper and it's so difficult to pin down its roots. Some points of reference seem obvious - heartbreak that stings at a lack of true satisfaction in her partners, commentary on existing as a black woman in America, the flexing that all rappers must exhibit - but to each point Noname adds an asterisk. Her flexing is self-deprecating and thus all the more convincing, she's conscious and socially aware but also of her own hypocrisies which demand a more nuanced, human frame, and the emptiness within she feels is juxtaposed against the wit and emotion she brings... and yet where she might find the most satisfaction is keeping something to herself. And even that doesn't feel like a complete picture of Noname, but that's also because she's so skillful in painting pictures beyond herself, a deconstruction of the American Dream and traditional values and even masculinity on the second verse of 'Prayer Song', but also supplemented with a purity of empathy in showing the flawed humanity in all of it, herself included. It's a very millennial sentiment, where it would be so easy to slip into nihilism but yearning earnestness in the face of the success she's attained is the stronger aphrodisiac. She wears success both in music and in sexual growth with an assured confidence that's always been compelling, but now it comes with a comfort in deconstruction of institutions set to marginalize or oppress or preach contradictions, from capitalism on 'Regal' to religion on 'Prayer Song' to systemic racism on 'Blaxploitation' to the entertainment industry on 'Ace'. But she has to live through those systems in order to see the cracks, and while 'no name' highlights how in the light of whatever will shine upon the rubble at the end we all might be left the same, a song like 'Don't Forget About Me' doesn't shy away from the distinctive humanity that is hers and hers alone, and vulnerability that her art might display but never in its fullness - even on 'With You', she'll ask for her drink back. Because again, it's not all for you - even the everywoman keeps something to herself. 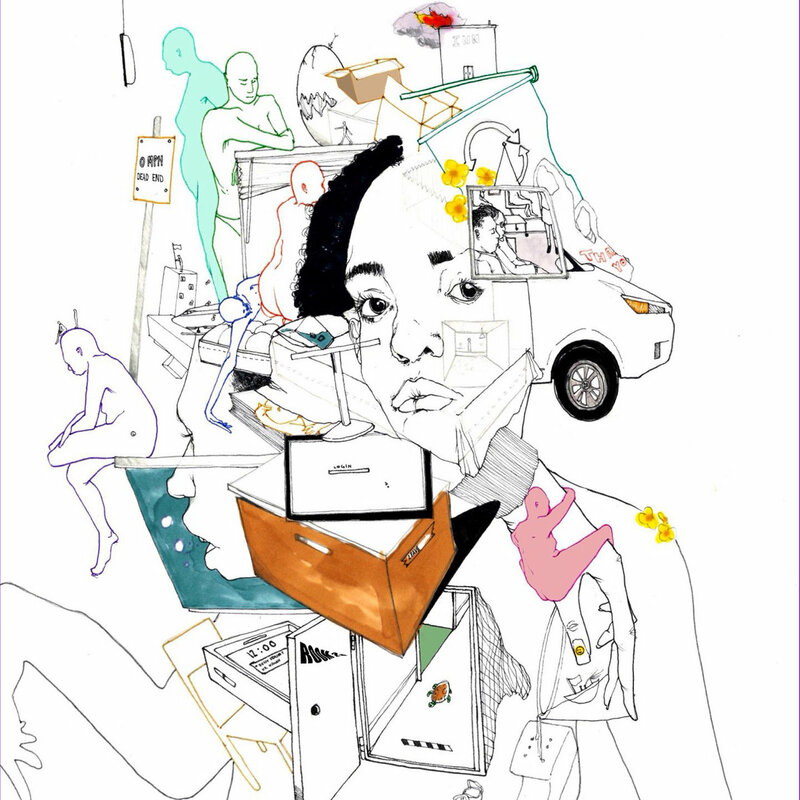 So maybe looking for the complete picture isn't the answer - I don't think it ever has been with Noname, but in an era where everything seems to be on display, Noname's ability to keep the full truth and meaning hers alone, to overshare but set a boundary in plain sight is a marvel to behold. And for me as a critic who loves to untangle and grasp every nuance of the art and artist, especially when the artist is great enough to convince you there is more you're not seeing... well, it's a lesson absolutely worth respecting. So yeah, for me this is an easy 9/10 and one of the best albums of the year without question: frequently gorgeous, effortlessly charming, beautifully subtle, and overfilled with wit and empathy in a way so rarely seen in balancing ordinary small pleasures with extraordinary depth. It's worth all the praise it's getting, folks, and more - absolutely check this out!